Eyecare Specialties is your local eyecare provider right here in Lee’s Summit. We provide the exceptional eyecare you expect, with a local hometown feel and the personal attention you deserve. Why Choose Eyecare Specialties in Lee’s Summit? Our practice offers superior eye care services using the most hi-tech, state-of-the-art equipment. Local care right here in Lee’s Summit means you don’t have to travel far to get the best treatment. We’re always on top of medical advancements to help our patients get the best quality vision care. When you look good, you feel good. 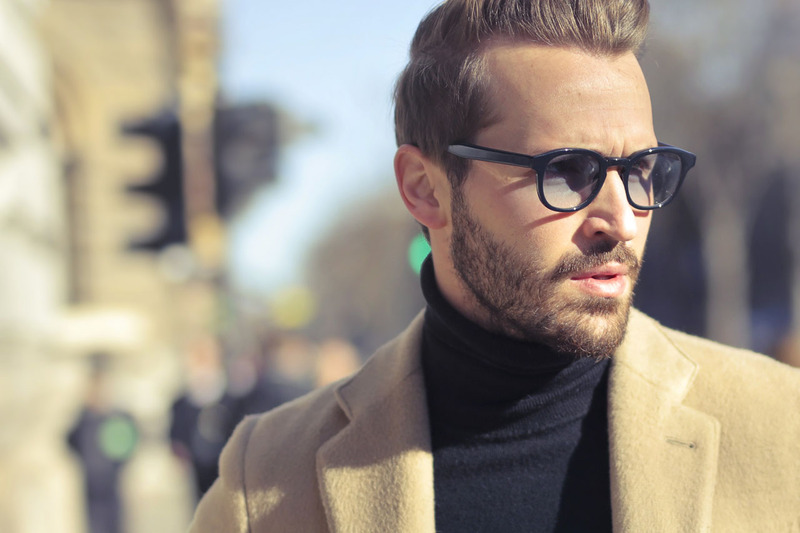 We have a wide range of designer eyewear frames to suit your style and your budget. Lees Summit, MI is situated in one of the best cities in the world. More so, the optometry is home to some of the best optometrists. Optometrists armed with years of experience, high levels of professionals who have gone ahead to win awards and be part of some of the most influential optometry associations. With the team of Lees Summit, MI you are assured of excellent service. Their motto is: “patient satisfaction”. The optometrists at Lees Summit, MI conduct an extensive number of eye care services for its patients. They have a pediatric eye exam service that caters to children at 6 months, at 3 years, at 5 years and 2 years following. The reason for these ages is that they are mandated by the American Optometric Association. They recommend parents to ensure they take their children to take these exams as they are key to early detection of any vision problems which may greatly be affecting your child’s reading and learning. General comprehensive eye care exams are provided to all of Lees’ Summit, MI patients. Their goal is still the same, early diagnosis of possible vision problems and treats them early enough. As they say, early treatment diagnosis equals more effective treatment and similarly better prevention of eye vision loss. They inspect the inner eye tissues to detect eye diseases such as glaucoma, cataracts, macular degeneration, and bipolar retinopathy. The optometry is equipped with latest high-end technology and digital optics. The aim is to provide its patients with more accurate and up to date diagnosis for more effective treatment. The optometry has emergency services available to people in the area. These eye emergencies, obviously that involve the eye, can be of tearing, irritation, foreign objects/materials in the eye. The Lees Summit, MI offers a great variety of eyewear to its patients. Their staff helps the patients to choose from a wide array what is best fit for them, for their vision, and for their general look. They offer precise contact lens fitting and extensive eye exams for contact wearers. The optometrists have had years of experience in eyewear and will provide detailed information on all matters concerning your choice of eyewear. They have a classic collection of optical glasses. They include; prescription, non-prescription, sunglasses, protection wear, and sportswear glasses. To match your frames preferences, they have several from different designers. The most popular brands of frames to find at Lees Summit, MI are WOOW, Tiffany, Oakley, Rayban, Fendi, D&GM Morel, Costa, Coach, Morel, Oliver Peoples and Maui Jim. There is a wide selection of contact lenses including; bifocal/multifocal, toric, disposable soft contact and colored lenses. They have Johnson & Johnson/Acuvue Contact Lenses, Bausch & Lomb Lenses, Cooper Vision Contact Lenses, and Alcon. To help reduce the costs of routine exams and prescription eyewear, the Lees Summit, MI optometry permits its patients to use Vision Insurance Plans. The understanding is that these services can be very costly especially for individuals with large families. As such a vision insurance plan will cover your routine eye exams, prescription eyewear, and other vision-related services at a reduced cost. Vision Insurance plans accepted include EyeMed and VSP. Medical plans accepted include Aetna. BlueCross BlueShield, Coventry Health Care, Humana, Medicare and United Healthcare. Patients are advised to make the most of their vision insurance plan by understanding their vision coverage. Lees Summit, MI also offers CareCredit card, the leading patients' payment program nationwide. With CareCredit you can begin your procedure immediately and then pay over time with low monthly payments that fit into your monthly budget. At Eyecare Specialties we are committed to providing the most comprehensive eye care in the Lee's Summit area. Our Optometrists, Opticians, and staff aim to take care of your every need. As we spend more time in front of screens, our eyes are increasingly exposed to dry eye, blue light, computer vision syndrome, myopia and a host of other eye health issues. We approach each patient in a holistic fashion and create a customized strategy to help each patient maintain great eye health, see clearly day and night, and prevent eye fatigue and discomfort. Approximately 25% of school children have vision issues that affect their ability to read, see the board, and learn. While a vision screening may detect some issues, it is limited in checking only the child's ability to see letters at a distance of 20 feet. Reading alone is comprised of 11 visual tasks, a deficit in any of which, will make reading and near work a more difficult task. Our Lee's Summit optometrists assess many different elements of your child's vision, including checking how both eyes work together and lazy eye/wandering eye. If you are experiencing an eye emergency, give us a call and our knowledgeable staff will help you figure out what you need to do. Should you visit an emergency room or urgent care facility for an eye emergency? Our optometrists in Lees Summit have advanced training and the latest technology to asses, diagnose, and treat most eye emergencies. If you are experiencing any of the following symptoms give us a call to schedule an emergency eye exam. One of the most important things for diabetics is to make sure to have regular diabetic eye exams. A diabetic eye exam is essential, as one of the effects of diabetes can be irreversible vision loss. Fortunately if caught early enough by regularly scheduled diabetic eye exams, the risk can all but be prevented. Our eye doctors have extensive experience in providing comprehensive, technology-assisted diabetic eye care in Lee's Summit. One of the things that our Lee's Summit eye doctors stress is the importance of being proactive with your eye care. Many people think that eye care is about making sure that your prescription is updated for glasses and contact lenses. However, there is so much more to eye care than simply checking your refraction. Scheduling your annual eye exam with our optometrists in Lee's Summit allows you to prevent many conditions that can easily be prevented, as well as reduce annoying symptoms such as dryness and discomfort. A comprehensive eye exam includes checking your refraction and if needed updating your prescription for glasses or contact lenses, but it also includes a whole lot more. The importance of wearing sunglasses, regular glasses with UV protection, such as transition lenses, or wearing contact lenses that provide UV protection. Many patients are unaware of how much risk is associated with UV exposure, and that making sure that your eyes are protected should start from a young age. Digital devices such as cell phones, TV's, computers, and tablets, are incredible tools, however, they also pose dangers to our vision and increase stress and discomfort in our eyes. During your annual eye exam in our Lee's Summit optometry practice, our eye doctors will discuss ways to prevent blue light damage to your eyes. This is especially important for children, who have many years of exposure ahead of them, as well as adults that spend hours a day in front of digital devices. This bombardment of high-intensity light can increase the risk of diseases such as macular degeneration and cataracts. The long-term effects of blue light on children is as of yet unknown. Our optometrists urge patients to treat blue light like UV and wear blue light protection when using digital devices, for both children and adults. Many options exist such as computer glasses, special lens coatings, reducing time spent in front of devices, and special contact lenses. Our Lee's Summit optical has a great selection of lens coatings and computer glasses for you to choose from. One of the most common eye issues today is discomfort, which is often called Dry Eye. Symptoms include dryness, itchy, watery eyes, crust or gunk in the eyelids, eye pain and fatigue. Often these symptoms will become more severe after spending time on a computer, however, there are many other causes such as medication, hormonal changes, contact lenses that are not suitable for the patient, and age. Our eye doctors will assess your eyes for any signs of dry eye, as well as ask you if you present any symptoms, and create a custom treatment plan for your comfort. In addition to treatment, there are many other tips that can help you avoid discomfort, such as consciously blinking when on a computer, vitamins, and the 202020 rule. We offer a complete range of advanced eye care services in our friendly office in Lee’s Summit, MO. Our eye doctors take pride in giving you personalized service for your vision needs. All members of your family are welcome to visit for vision testing, comprehensive eye exams, treatment for eye disease, and to browse our outstanding optical collection! We also perform precise contact lens fittings and thorough eye exams for contact lens wearers. You need healthy eyes to see the sites of Lee’s Summit clearly. Our optometrists will inspect your inner eye tissues to detect any signs of eye disease, such as cataracts, glaucoma, and macular degeneration. If you require treatment for an ocular condition, we will take a progressive and responsible approach, treating you with the most advanced eye care. To ensure that you benefit from accurate diagnoses and modern treatment, we equip our office with cutting-edge technology and digital optics. A Winning Place to Live! The past comes to life at Missouri Town 1855, a historic museum that models a mid-19th century community. The buildings are designed to be authentic, and volunteers dress in period costume to reenact their daily routines. Tour the site to view blacksmiths at the forge, lawyers debating politics, a church choir in song, and cooks preparing period meals. Visitors of all ages love coming here! A range of fun and educational local artifacts, including maps, photographs, and a genuine WPA kitchen, are on display at the Lee’s Summit History Museum. Set inside a lovely old building, this venue is in the center of town, across from the train station for convenient access. A re-creation of the Vogue Theater will also entertain you here, as well as an extensive exhibit about the Border War and Cole Younger, Lee’s Summit most notorious historic resident. In the mood for fresh air and action? Head to Lee’s Summit’s Paradise Park, where there is an attraction to please everyone. This amusement park offers mini-golf, arcade games, go-carts, and mouthwatering pizza dripping with cheese, along with other fun activities to keep you busy. Longview Lake and Beach is another local destination to take advantage of the great outdoors. This is the ultimate Lee’s Summit spot to swim, boat, walk, jog, or bike. The gravel trails are easy for all ages to tread, there’s plenty of shade, and you can cool off in the lake. Interested in playing ball? The park has fields for team sports. Golfers will also be happy to know that the Fred Arbanas 18-hole course is only a jump and a swing away. At the end of a busy day in Lee’s Summit, stop by the Stonehaus Farms Vineyard and Winery to unwind with a local vintage. There are plenty of peaceful places to sit indoors and outdoors, with pretty vineyard scenery as your backdrop. A tasting counter greets you upon entrance, and there’s a wide array of wines to sample. Our office is conveniently located on Blue Parkway, just a few minutes from the Comfort Inn and Americas Best Value Inn & Suites, and next to Tokyo Grill Hibachi & Sushi. We are a short drive from a number of local attractions in Lee’s Summit, including the Summit Fair Shopping Center, Downtown Lee’s Summit, Landmark 2 Skate Center, and Legacy Park. The Summit Fair Shopping Center is a 507,000 sq ft retail shopping center, featuring famous brands like Children’s Place, H&M, Kay Jewelers, and Macy’s, as well as a variety of casual restaurants and upscale dining experiences. Downtown Lee’s Summit is a non-profit organization focused on revitalizing the downtown area with new business ventures, as well as community and cultural events. Downtown Lee’s Summit boasts a wide range of businesses, from clothing and florist shops to auto repair and legal services, even a preschool. Landmark 2 Skate Center is a family-owned roller skating rink located in the heart of Lee’s Summit. The Center offers roller skating fun for families, parties, corporate events, camp groups, and more. Roller skate to popular music, munch on great snacks, and have a great time out with friends and family! Legacy Park is a recreational center containing 12 baseball fields, 6 softball fields, and 8 soccer fields, with a 45,000 sq ft community center that’s open to all. People enjoy coming to Legacy Park for swimming, working out in the fitness center, playing basketball or racquetball, and even using the facility’s meeting rooms for corporate functions. Legacy Park’s inclusion program for those with disabilities makes it an ideal location for the entire Lee’s Summit community. Whether you are looking for a comprehensive eye exam, new glasses or contacts, our Lee's Summit Optometrist's and Opticians are ready to serve you!